University of Adelaide researchers have developed a world-first optical sensor that can detect vitamin B12 in diluted human blood – a first step towards a low-cost, portable, broadscale vitamin B12 deficiency test. Vitamin B12 deficiency is associated with an increased risk of dementia and Alzheimer's disease. Such a device would enable the tracking of vitamin B12 levels in high-risk patients and early intervention – to top up vitamin B12 levels when low – and help overcome the limitations of current testing methods which are time-consuming and costly. 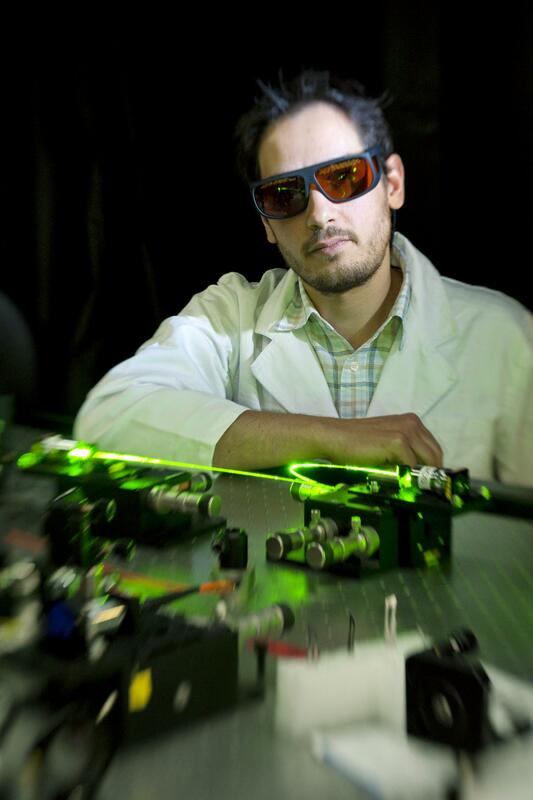 The research, by scientists in the ARC Centre of Excellence for Nanoscale BioPhotonics (CNBP), the Institute for Photonics and Advanced Sensing, and the Schools of Physical Sciences and Medicine, is being presented today at an international biophotonics conference in Adelaide – the inaugural SPIE BioPhotonics Australasia conference. Biophotonics is the science of using light (optical technologies) to analyse and measure biological material.